Welcome to the sixteenth edition of Document Film Festival. Alongside innovative and striking contemporary titles, this year’s festival finds us exploring the histories, afterlives and generative potential of archives – looking at what they can tell us about how we understand our individual and collective histories, particularly in relation to some of the seismic political events of the twentieth century. We approach the literal and figurative notion of an archive as a means to interrogate the writing of history, and as a way to discover some of the revolutionary filmmakers who a have sought counter the forces of historical erasure. From the radical women who transgressed tradition to pioneer a New Arab Cinema; to the Tokyo day-labourers who waged war on the Yakuza; and the birth of Guinean cinema and the decolonising vision of Amílcar Cabral – we listen to often-unheard voices that might help us better understand the structures binding our world, and imagine futures beyond the stasis and repetition of the contemporary moment. Join us for a diverse and thought-provoking programme of 9 short films by both emerging and established Palestinian filmmakers. The first part of the programme reflects directly on the events of the Nakba (the 1948 Catastrophe) and the dream of return through animation, oral testimony and digital technology. The second part explores contemporary experiences, through traditional documentary, docu-drama and the film essay. The programme is curated by Creative Interruptions, an Arts and Humanities Research Council Project that aims to explore the way in which disenfranchised communities use the arts to have their voice heard. A Woman Captured reveals the shocking phenomenon of modern-day slavery in the heart of Europe. 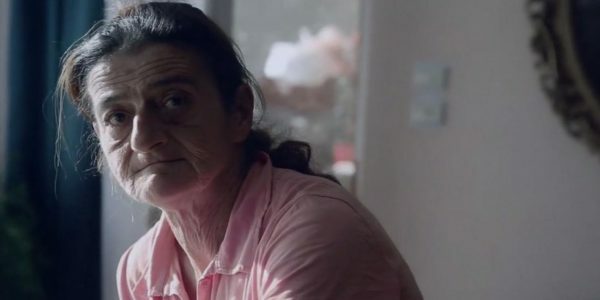 It follows Marish, a 52-year-old Hungarian woman who has been serving as a family housekeeper for a decade, working 20 hours a day without pay. 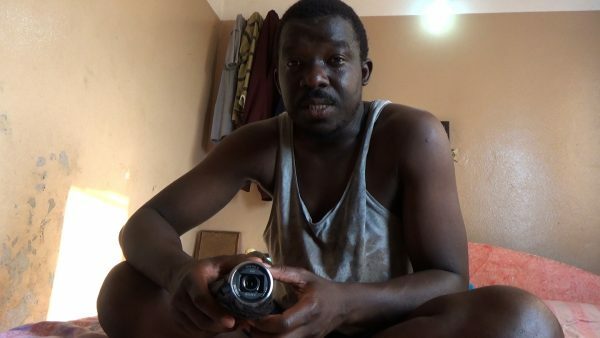 With no ID, no bed to sleep in and only leftover scraps to eat Marish is treated like an animal and forbidden to leave the house without permission. Shot over a period of two years, the film documents the first transformative steps of a journey Marish had long given up hope of making – towards her freedom, dignity and a renewed faith in life. It is estimated that around 45 million people around the world live in modern slavery. In Hungary alone there are about 22,000. They Call Us Maids is a short animated film commissioned by Pavilion and produced by Leeds Animation Workshop, in collaboration with Justice for Domestic Workers Leeds. The film draws on the experiences of thousands of women from disadvantaged backgrounds, in countries such as the Philippines, Indonesia, South Asia or Africa, who have to find work abroad to support their families. Employed as maids they work in private homes, often for long hours and low pay. 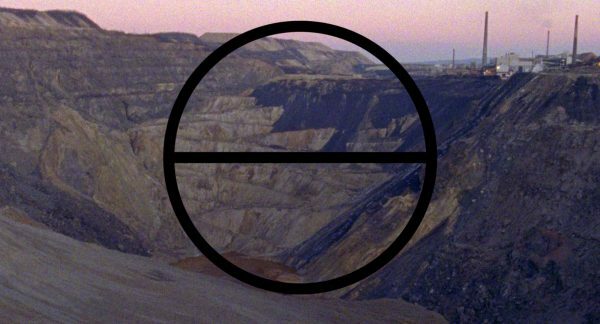 The Critical Forum panel discussion will take place after the screening at 15.00 in the Silver Room. Free entry. Sam Poling, Scottish investigative journalist, currently working for BBC Scotland and BBC Panorama. Shan Saba, director of Brightwork, a recruitment business based in Glasgow and founder of the campaign Scotland Against Modern Slavery. Meghan O’Neill, Campaigns and Engagement Officer Oxfam Scotland. A milestone in the history of political and experimental cinema, A.K.A. Serial Killer pioneers the cinematic theory of fûkeiron (the theory of landscape). Together with cultural theorist Matsuda Masao, scriptwriter Sasaki Mamoru and other collaborators, Adachi set out to trace the likely steps of a nineteen-year-old boy who carried out four, apparently motiveless, murders over a month-long period in 1968. The result is an experimental documentary comprised purely of landscape shots, each of which shows scenery that he may or may not have seen during his upbringing and journey. Seeking an alternative to the sensationalism found in the media, Adachi’s sparse voice-over provides only the hard facts while the increasing number of billboards in the landscapes slowly reveal the hegemony of capitalism in contemporary Japan. Followed by a Skype conversation with Julian Ross, researcher, writer, and curator for International Film Festival Rotterdam. Julian has also written a programme note to accompany the screening. 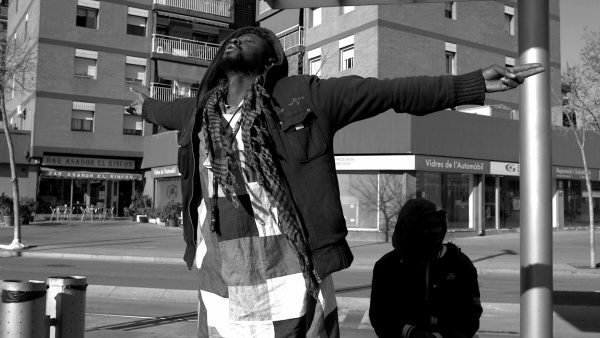 Having been evicted from their squats in Barcelona, two groups of Senegalese men float in an apparently endless drift. Unemployed, but proud, they try to make the best of an existence punctuated by harassment from the police and citizens who believe that general Franco would have never allowed such unruly behaviour. It begins to dawn on them that their European dream may be nothing more than an illusion. Director Pierpaolo Verdecchi captures the rage, tenderness and despair of men existing on society’s b-side. Shot in precise black and white, stylish and observational, the film has the fierce pulse of a hip-hop song and the melancholic feeling of a reggae ballad. This quote from Austrian poet and writer Ingeborg Bachmann provides the conceptual framework for Sara Fattahi’s devastating meditation on the war in Syria, as experienced by three women living in exile. The women live in different places, from Damascus to Vienna, but Fattahi binds them together in a cinematic conversation that speaks to the complexity of personal and collective trauma, what it means to live in exile, and the cognitive dissonance that governs the way we perceive conflict. It is a conversation between the interior and exterior – an impossible conversation. Director Sara Fattahi will take part in a post-screening Q&A. 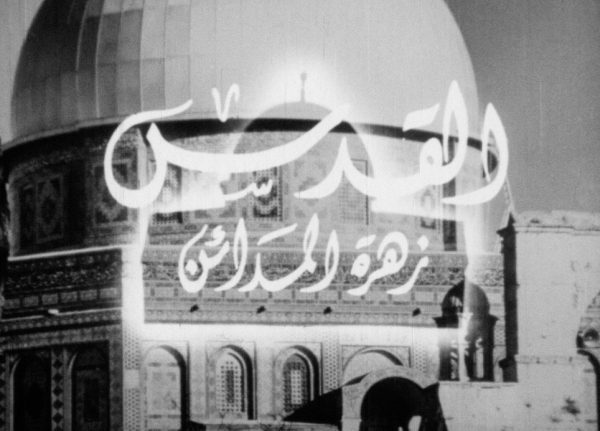 Following a research and restoration project conducted by Creative Interruptions, this special screening of five restored films produced during the period of the Palestinian revolution marks an important retrieval of Palestinian revolutionary cinema, following the loss of the PLO Film Unit archive after the Israeli invasion of Lebanon in 1982. Until very recently the whereabouts of the archive were unknown. While it is now clear that the Israeli military seized it, its access is limited and denied to Palestinians. The aim of the restoration project has been to return these films to both a Palestinian and international public – hoping that doing so will encourage a deeper understanding of Palestinian cinema history and the intellectual ideas that influenced the PLO’s Arts and Culture Unit. Introduced by Dr. Anandi Ramamurthy, Reader in Post-Colonial Cultures at Sheffield Hallam University, and followed by a discussion with Anandi and Kassem Hawal, director of Palestinian Identity. Curated by Creative Interruptions, an Arts and Humanities Research Council Project that aims to explore the way in which disenfranchised communities use the arts to have their voice heard. 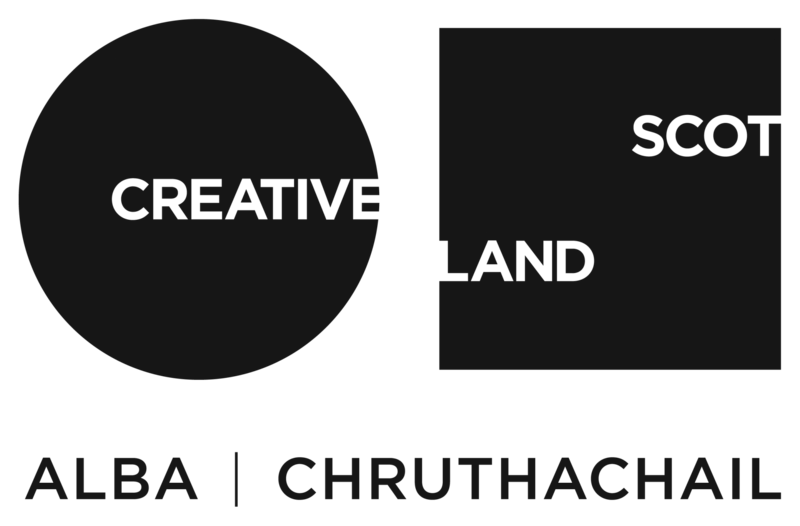 Presented in partnership with Creative Interruptions and supported by Film Hub Scotland. Participatory filmmaking is widely recognised as a method of engaging communities, building confidence, teaching skills and giving voice. Taking a co-creative approach frames people not only as contributors but as influencers, intrinsic to creating authentic collaborative content. In this workshop we will explore the role of filmmaker, contributors and co-creators through the production process of 2 short films: We Journey Together (2017), a short film depicting the story of 4 people and their experience in the asylum process in Scotland and You Play Your Part (2011), charts the experiences of campaigning women on Clydeside, from the Rent Strikes of 1915 to the Campaign for Equal Pay and the Upper Clyde Shipyards work-in. The workshop, led by Plantation Productions, will feature discussion with Moya Crowley, Creative Director, Chris McGill, freelance filmmaker and Dr. Kirsten MacLeod, filmmaker and Associate Professor at Edinburgh Napier University. In celebration of the pioneering women of Arab cinema we are producing a publication with our friends at Dardishi, consisting of words and images from Palestinian women that reflect on the idea of a Palestinian archive, particularly from a feminist point of view. They explore the breadth and diversity of an archive might be, what forms it might take, and how it might relate to the preservation of histories, cultures and identities that exist under conditions of exile and occupation. The publication will be available throughout the festival weekend, with proceeds going towards Dardishi Festival 2019. Dardishi Festival is a community-run festival that celebrates and showcases Arab and North African women’s contributions to contemporary art and culture // 8-10 March 2019. Filmed on Super 16mm between a state-owned underground copper mine in post-war Serbia and an illegal gold mining collective in the tropical heat of Suriname, Good Luck is a non-fiction portrait of men brought together in the pursuit of capital. Neither a simple morality tale nor an indictment of the mining industry, Good Luck is a film that looks at the similarities between two radically different groups of men as they work in isolation on opposite sides of the globe, labouring in the long shadow of a 3,500 year-old extraction process. Formed between dark and light, cold and heat, North and South, the film immerses its viewer in the precarious natural and social environments of two distinct labour groups so as to better understand the bonds that men share. In a time of global economic turmoil, here is the human foundation of capital, revealed. 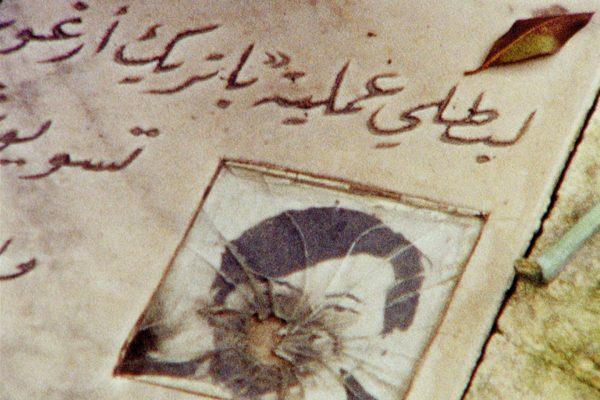 Palestinian director Azza El Hassan embarks on an intriguing, moving and sometimes humorous road-trip on the trail of a lost archive of films made by the PLO Media Unit, which went missing during the Israeli invasion of Beirut in 1982. 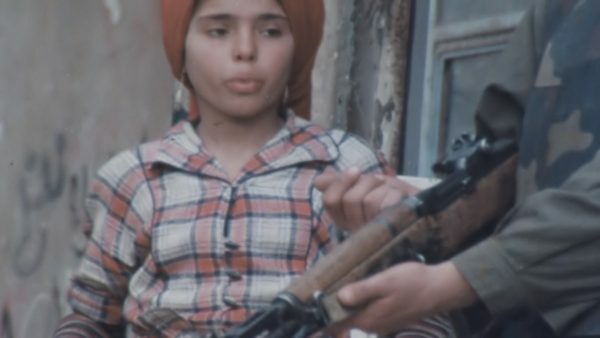 The film stock documents 25 years of Palestinian history – often denied or ignored – including the moment of civilian expulsion that occurred during the Six Day War of 1967 and the PLO’s activity in Lebanon up until 1982. She travels through Palestine, Jordan, Syria and Lebanon, following the contradictory and often confusing clues as to the archive’s whereabouts, all the while prompting a deeper reflection on Middle East politics, Arab life, and the question of what a Palestinian identity means today. A short film programme considering the ethics of the gaze, whether that of the tourist, the filmmaker or the audience. In Dennis Stormer’s Looking at Others an American tour guide brings western tourists to visit and ‘experience’ a Roma community, but who benefits from this exchange? And does the filmmaker – and by extension the viewer – stand apart from the camera-wielding tourists he captures? 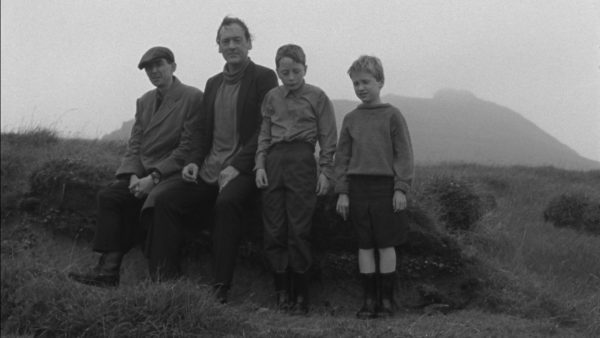 Glasgow-based artist Duncan Campbell’s fictional The Welfare of Tomás Ó Hallissy draws on archive footage and anthropological research into rural Ireland in the 1960s and 70s to explicitly address the responsibility and impact of the documentary filmmaker. Finally, Patrick Bresnan and Ivete Lucas train their camera on ordinary Floridians compelled to photograph a rare sight at Palm Beach International Airport in Roadside Attraction. Curated by and presented in partnership with Glasgow Short Film Festival. Susana de Sousa Dias’ Luz Obscura is a beautifully crafted, deeply felt essay-film looking at the legacy of the Portuguese Estado Novo, or New State, led by António Oliveira de Salazar – the longest-lasting right-wing dictatorship in 20th century Europe. Taking as its starting point photographs taken by the Portuguese political police (1926-1974), the film focuses on the treatment of political opponents to the regime, especially the Portuguese Communist Party. The central story is that of Octávio Pato who was imprisoned and tortured before spending 14 years in hiding, whilst the contemporary recollections of his three children form the soundtrack to this hidden history. 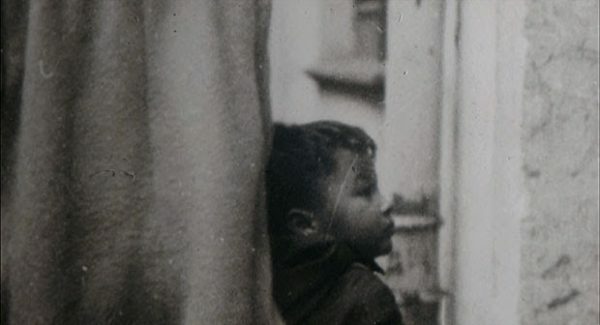 Luz Obscura reflects on how the authoritarian system operated to disrupt intimate family bonds, and how decades of trauma and repression still mould the present. We’re delighted to be joined at the festival by Director Susana de Sousa Dias for a post-screening Q&A, hosted by Tatiana Heise. 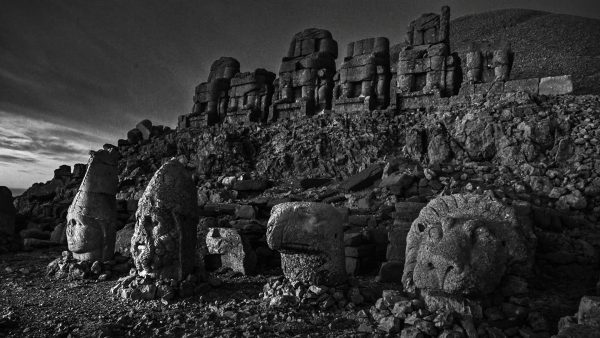 At night, in a Kurdish town in eastern Turkey, meteors start to fall. Stepping out of their homes to look, the city’s inhabitants encounter fragments of the past and remember those who have been lost. In this environment, the tracing of absences becomes both an imaginative and a political act; the impact of the violence which has scarred the area has been erased from official records, leaving memories and stories to fill the gaps. Focusing on the troubled history of this conflict-stricken area, Meteors deftly interweaves its cosmological framework with astute political commentary, exploring the ethics of how we remember the stories, places and voices which have disappeared. The death of Alejandro “Ale” Robles, killed by police after being betrayed by a friend, provides the throughline for this nuanced, fragmentary portrait of the Don Orione estate in Buenos Aires. In a small apartment his mother, Ana, bakes a cake and recalls her son whilst home video footage captures the family in happier times. Through the deft assembly of different types and sources of footage, Bonino weaves together disparate elements of neighbourhood life to construct a multi-layered work that coalesces to form an aching and disquieting portrait of a society spilling over with contradictions and irreconcilable truths. This illustrated talk will further explore El Abnoudy’s socialist poetics and political aesthetics and discuss how she has given shape to Egypt’s documentary tradition. Popularly known as “the mother of Egyptian documentary”, she began her filmmaking career in the early 1970s as one of the key figures of New Arab Cinema, negotiating from the outset what she called “permissible dreams” – the right to foreground the voices of working class Egyptians and take a more intersectional approach to representation. As a pioneer of politically and socially engaged documentary, she influenced many young female filmmakers whilst challenging the male-dominated ruling classes and the similarly homogenous cinematic standards of the time. This talk is preceded – at 12noon – by Three by Ateyyat El Abnoudy, a screening of three early works from the filmmaker. Part road-trip, part memoir, part journalistic investigation, Revenir follows Kumut Imesh, a refugee from the Ivory Coast now living in France, as he returns to the African continent and attempts to retrace the same journey that he himself took when forced to flee civil war in his country – this time with a camera in his hand. Traveling alone, Kumut documents his journey both as the main protagonist in front of the camera, as well as the person behind it, revealing the human struggle for freedom and dignity on one of the most dangerous migratory routes in the world. Revenir depicts a courageous journey and a unique collaboration between filmmaker and refugee; which is not without consequences. Presented in partnership with GRAMNet. Document is proud to host the latest in a series of masterclasses presented by Scottish Documentary Institute, allowing audiences to learn from world class filmmakers as they discuss their practice. This year, we’re joined by Sara Fattahi, director of Chaos – the second film in a trilogy that centres the experiences of women and their relationship to conflict, exile and trauma. 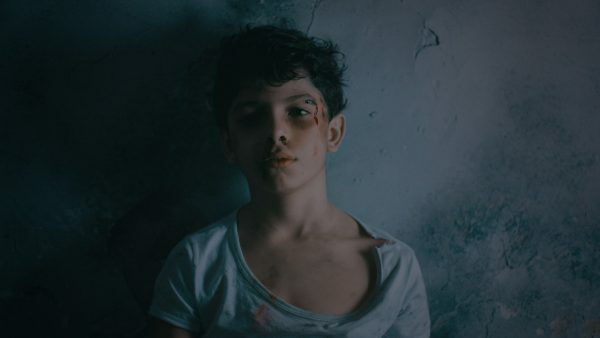 Fattahi’s first feature length documentary Coma (2015) was granted the Regard Neuf Award for the Best First Feature Film at Visions du Réel 2015, and the FIPRESCI Award at the Viennale 2015. 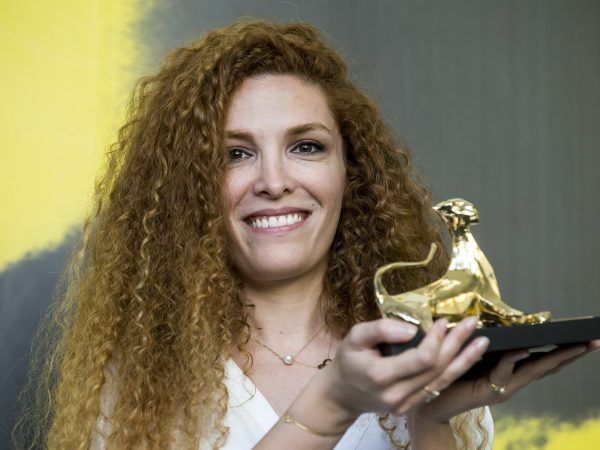 Chaos was awarded the Pardo d’oro Cineasti del presente at Locarno 2018. Augustina Comedi weaves together a complex and moving portrait of her late father Jaime, constructed from more than 100 hours of videotape he recorded as a hobby prior to his untimely death. It seemed as though he recorded everything, although he left only small clues as to the man he was before marrying her mother and the secrets he kept with him. 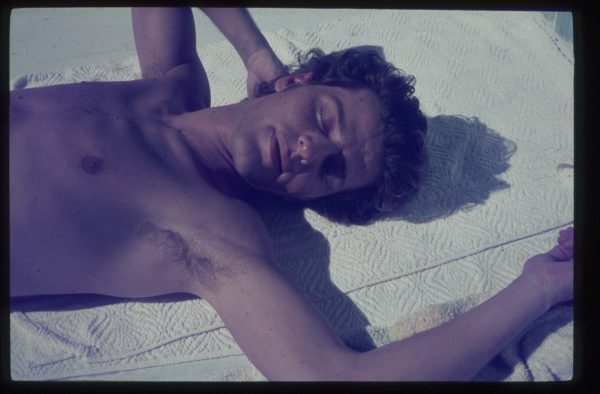 Interviews with those who knew him reveal fragments of a youth filled with political activism, joyful friendships, and sexuality that never fully bloomed in the repressive social climate of 1980’s Argentina. 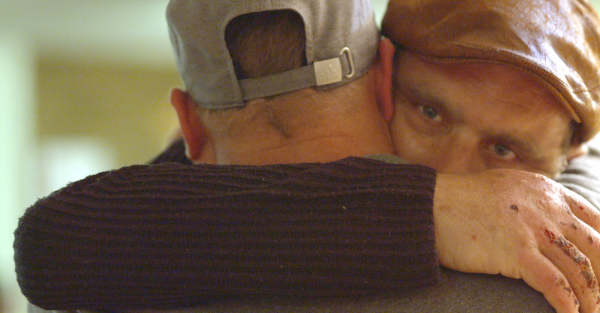 With equal marriage being introduced in the country in 2010, Comedi’s film is at once a love letter to her father, and also profound thank you to those who sacrificed so much for the freedoms of the next generation. Presented in partnership with Scottish Queer International Film Festival. A collective film assembled by Filipa César. In 2011, an archive of film and audio material re-emerged in Bissau. On the verge of complete ruination, the footage testifies to the birth of Guinean cinema as part of the decolonising vision of Amílcar Cabral, the liberation leader assassinated in 1973. In collaboration with the Guinean filmmakers Sana na N’Hada and Flora Gomes, and many allies, Filipa César imagines a journey where the fragile matter from the past operates as a visionary prism of shrapnel to look through. Digitised in Berlin, screened and live commented, the archive convokes debates, storytelling, and forecasts. 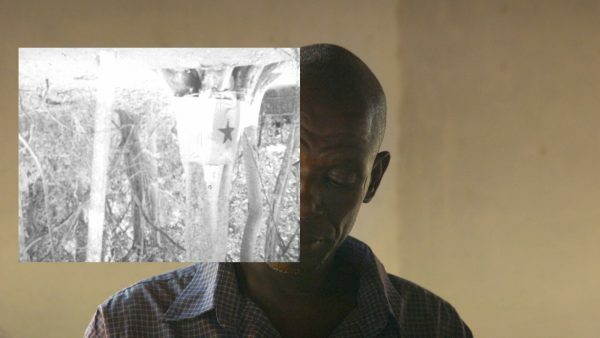 From isolated villages in Guinea-Bissau to European capitals, the silent reels are now the place from where people search for antidotes for a world in crisis. Presented in partnership with Goethe-Institut Glasgow. Join artist Louis Henderson for a SUPERLUX Masterclass in Glasgow that will introduce his practice and recent work. 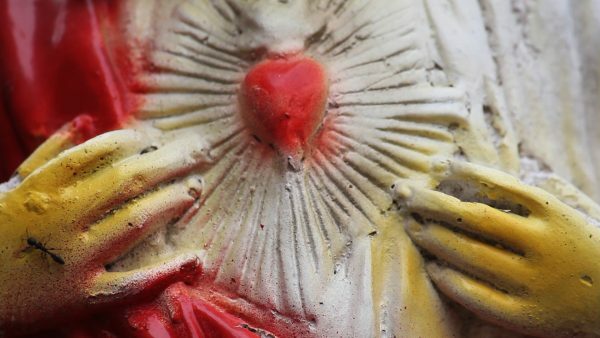 Henderson will present an ongoing project titled Ouvertures, authored by the artist group The Living and the Dead Ensemble (Atchasou, Léonard Jean Baptiste, Mackenson Bijou, Rossi Jacques Casimir, Dieuvela Cherestal, James Desiris, James Fleurissaint, Louis Henderson, Cynthia Maignan, Olivier Marboeuf and Zakh Turin) that was created in Port-au-Prince in 2017. Ouvertures questions the contemporary relevance of the Haitian revolution through a series of translation workshops, a play by Édouard Glissant and a feature film improvised by The Living and the Dead Ensemble. The project engages questions of representation and the telling of history through orality and body gesture. 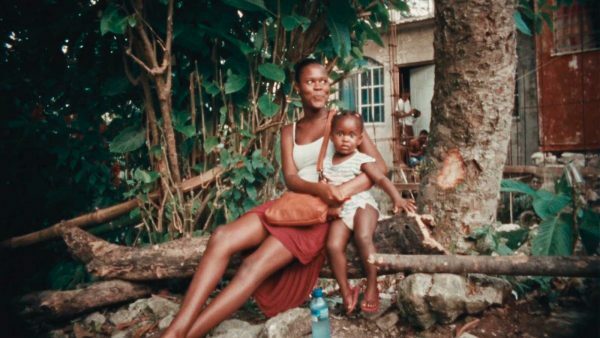 Made between France and Haiti, and developed through collective processes of writing and improvisation, the work attempts ways of filmmaking as anti-colonial method. The Living and the Dead Ensemble first gathered in July 2017 for the Monsieur Toussaint Sessions workshop at the Centre d’art in Port-au-Prince, where they were working together on translating Monsieur Toussaint (a play by Édouard Glissant) from French to Haitian Kreyol. Focusing on theatre, cinema, poetry, song, slam and rap, they performed the Kreyol version of the play in the cemetery of Port-au-Prince as part of the Ghetto Biennale 2017. This event is presented in partnership with LUX Scotland. Anabasis – The name given to wandering, circuitous homeward journeys. 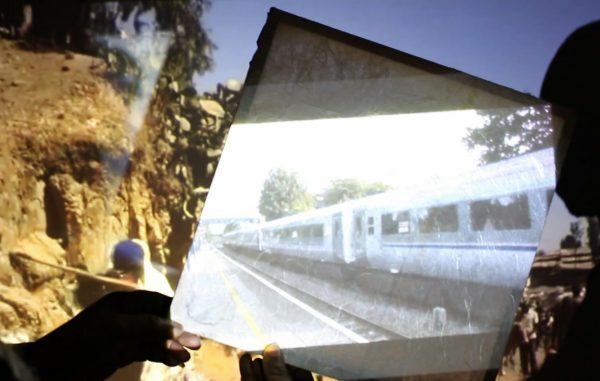 Developed in collaboration with legendary filmmaker Adachi Masao, The Anabasis… re-purposes Adachi’s theory of fûkeiron to explore the history of the Japanese Red Army, their exile in Beirut and ultimately their forced return to Japan. 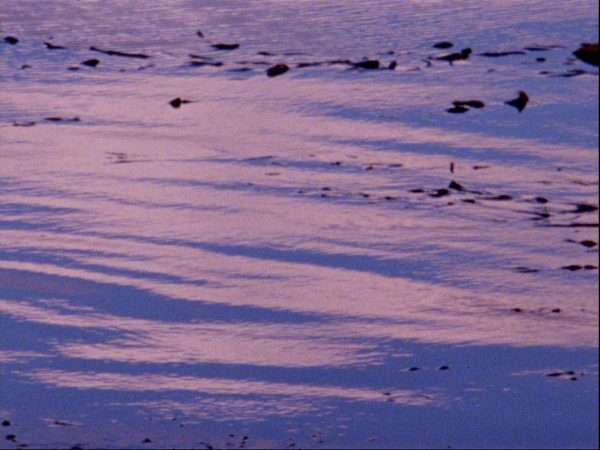 Shot in glorious Super 8mm, Baudelaire traces the disjointed stories and entangled recollections of Fusako Shinegobu, leader and founder of the JRA; her daughter, May; and Adachi Masao, filmmaker-turned-revolutionary fighter. Panoramas of Tokyo and Beirut merge with archival footage, TV clips and film excerpts to create a beautiful and poignant exploration of the slippages between history, memory, politics and cinema. How do forty-three students vanish into thin air? Produced by an anonymous Mexican collective, The Sun Quartet is an experimental, at times psychedelic protest-poem addressing the legacy of the 2014 disappearance of forty-three students in Iguala, Guerrero. 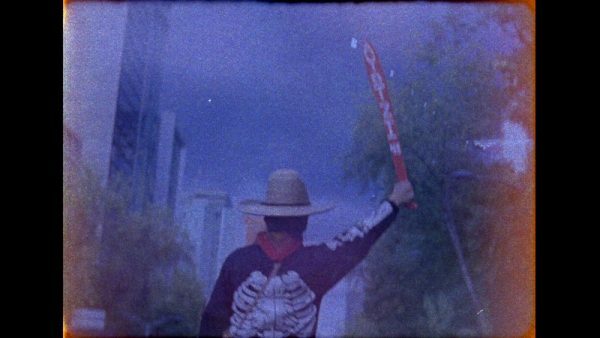 Across four visually striking and emotionally potent short films, the collective radically depart from the grammar of mainstream film and television, which, along with the obfuscation of the state, police and military continues to fail victims of violent crime in Mexico. The Sun Quartet finds them instead reaching towards a more authentic language capable of articulating the trauma at the heart of the national psyche. The whereabouts of the disappeared students remain unknown, and their status as ‘disappeared’ persists to this day. Please note that the film is composed largely of overlaid moving images that at times create a strobe-like effect. The Territorial Sea is a programme of recent artist moving image work featuring stories of struggle from sovereign waters. Works by Taus Makhacheva, Forensic Oceanography, and Francisco Rodríguez document tragic maritime passages, variously pointing to the cultures of spectacle, neglect, and cruelty which permit ongoing catastrophe. Mapping the geopolitics of water through re-enactment, surveillance analysis, and oral history, these short films build a portrait of the sea: parts deadly and sublime. Twelve nautical miles from the baseline of a coastal state, the territorial sea is a drifting stage for violent border policy and humanitarian crises. The Territorial Sea is curated by Marcus Jack, director of Transit Arts, with thanks to Le Fresnoy, Tourcoing; narrative projects, London; and Forensic Architecture. Three early works from the legendary Ateyyat El Abnoudy, perhaps the finest exponent of documentary filmmaking in Egyptian history. 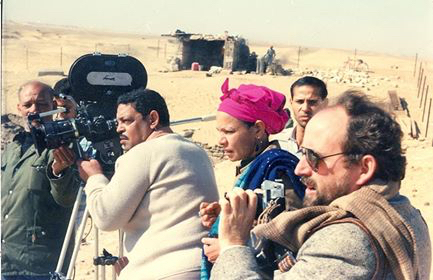 Nicknamed ‘the poor people’s filmmaker”, her films focus on the social and economic issues of the Egyptian, Arab and African underclasses, and especially those of women – choices which limited her popular appeal for many years and frequently invited the displeasure of Arab governments. However, her artistry is universally applauded and these works in particular remain beautiful and poignant examples of her ability to articulate both the struggle and the vibrancy of Cairo’s urban landscape. We present these works as an interrupted screening, pausing between the films to discuss their form and content. Speakers are Sara Shaarawi and Dr. Stefanie Van De Peer. The screening will be followed by, Permissible Documentaries: The Non-Fiction Poetics of Ateyyat El Abnoudy – at 13:30 – an illustrated talk further exploring El Abnoudy’s socialist poetics and political aesthetics and discuss how she has given shape to Egypt’s documentary tradition. 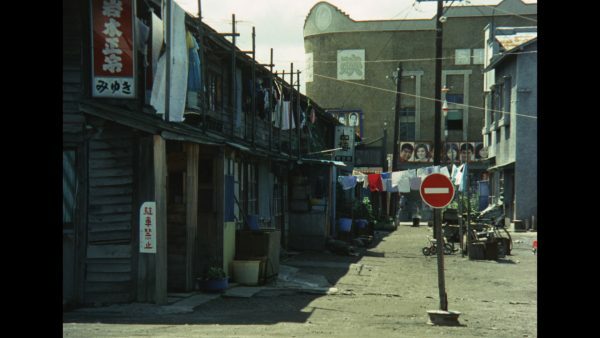 Produced at the height of Japan’s economic boom of the 1980’s, Yama documents the struggles of unionised day-labourers in the San’ya district of Tokyo, on the frontlines of a violent class war. 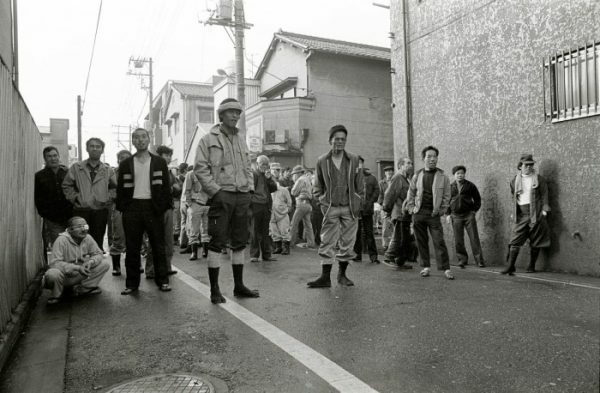 It is a film for the workers, intended to function as a weapon in their struggle – one that cost director Sato his life. On 22 December 22 1985, during filming, he was murdered by Yakuza gangsters whom Sato intended to expose for their criminal involvement in the restructuring of the job market. A collective of directors headed by Kyoichi Yamaoka finished the film, before Yamaoka, too, was later murdered. The dramatic circumstances of the production reflect the explosive nature of the subject: exposing the corruption at the heart of the state, and the brutal exploitation of the types of people Marx called the “reserve army of labour”: day workers, outcasts, the unemployed, foreigners.